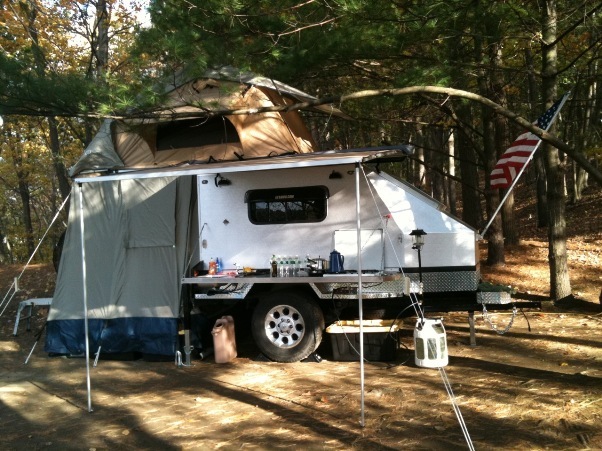 We received some new photos from recent home built camping trailer projects and wanted to share them with our readers. 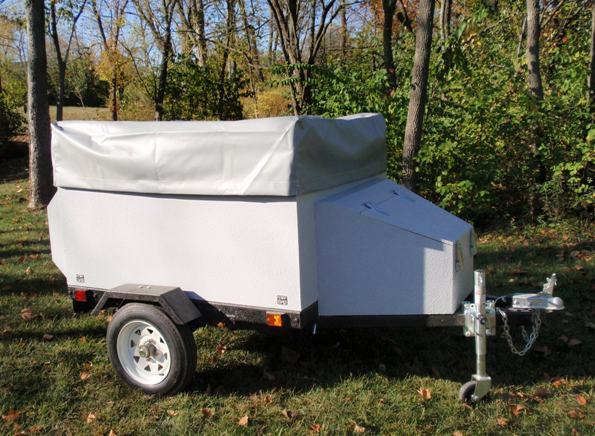 Here is Bud from Ohio’s version of an Explorer Pod Tent Topped Camping Trailer. For the sleeping quarters he used one of our DIY MOAB Tent kits. In the rear, his tail light housings are a good example of adding your own personal touches. This is Pat from New York’s recent Camping Trailer, he calls it ROAM (Recreation Optimized All-Terrain Module). 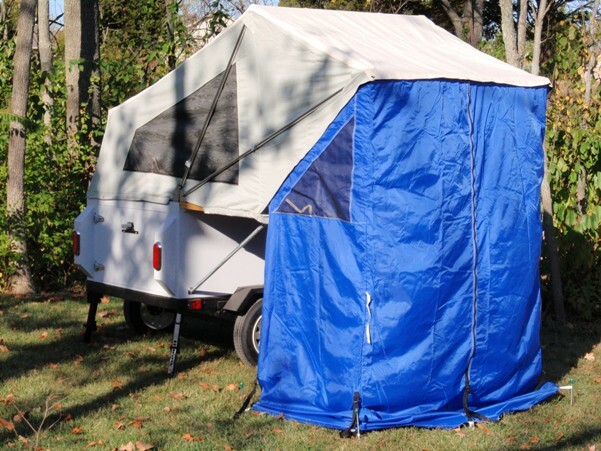 He uses a Tent Topped approach like we do, although his trailer box is “super-sized” compared to an Explorer Box. He is an example of how “addictive” home built projects can be. This is his second camping trailer project and he is already talking about idea for the next one. 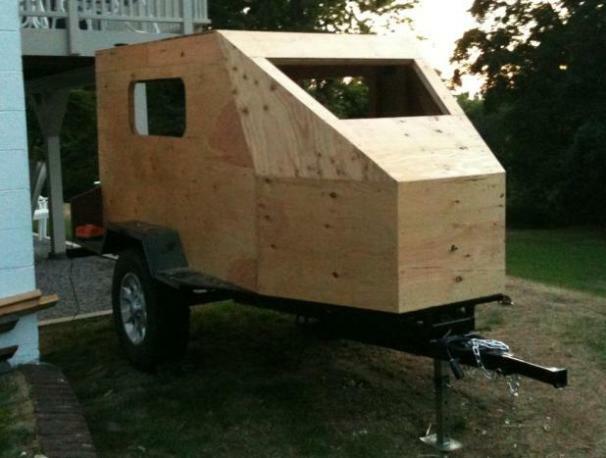 For a detailed chronicle of his build visit http://forum.ih8mud.com/trailer-tech/379001-roam-camper-build.html . 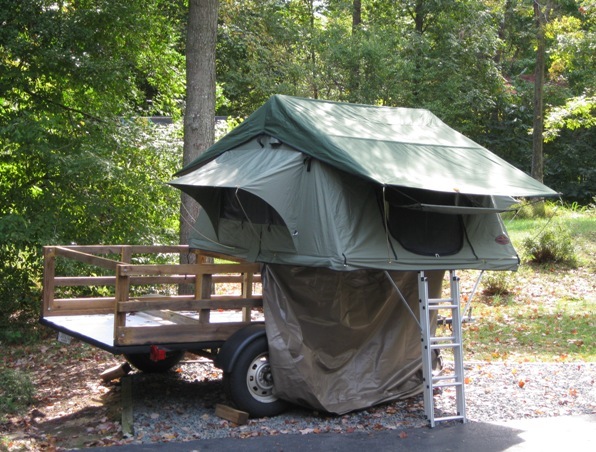 This is Kevin from Maryland’s multi-purpose camping trailer. 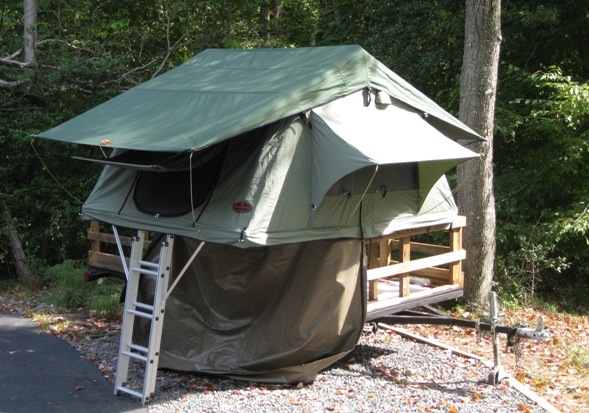 It uses one of our family sized Safari style tent units. He can quickly transform it from a Tent-Topped camping trailer to general hauling.